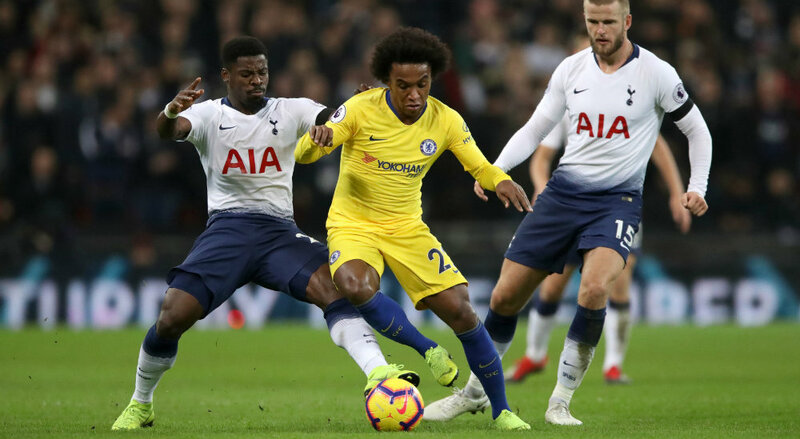 A demoralising evening saw Chelsea outplayed and suffer a comprehensive defeat against Tottenham. Here’s how we rated the Blues players in the 3-1 loss at Wembley. He made several excellent saves, but was completely deceived by Harry Kane’s long-range shot and perhaps should have done better with Son Heung-min’s strike. Steady enough in a poor defensive display, Azplicueta also set up Olivier Giroud’s late header. Luiz will get castigated for his efforts as he is seemingly always the scapegoat, but he was no more culpable than any of his other defenders in a sorry performance. 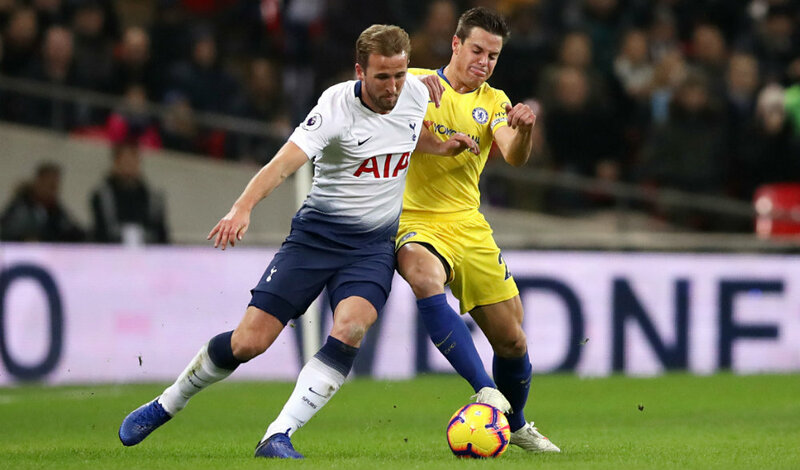 His decision not to try to block Harry Kane’s shot for the second goal was because it was a tame strike and he was fearful of deflecting the ball in. He did, however, make a complete mess of the the third goal as he raced to get across having been exposed by a lack of midfield cover yet again. Given a tough time trying to keep Kane quiet, and was on a tightrope after collecting an early booking. Fortunate not to be sent off for later tripping Kane. The Spaniard made little impact in attacking areas and was too easily bypassed in defence as Chelsea lost the tactical battle all over the pitch. He was denied time and space and offered very little protection to his back four when Tottenham broke at pace. The Italy international became an increasingly frustrated figure. Neat, tidy but too rushed and, in the main, ineffective. One of the few Chelsea players to emerge with any credit, Kante was busy and did at least provide some zip and zest in midfield areas, albeit a bit too far forward to help his back four. Willian buzzed around and had a several decent strikes on goal, but often lacked support in a predictable attacking performance by Maurizio Sarri’s side. The Belgian was crowded out for the most part, but never stopped looking for possession or probing for an opening despite some roughhouse treatment. He will play worse and be praised for his efforts but it was difficult to shine in a sorry team showing. A sharp run and early attempt on goal brought encouragement, but he was starved of service and either weak in possession or offside when he did get the ball. He brought a bit more urgency and tenacity after coming on just before the hour and could easily have teed up a goal. Energetic after coming on, Pedro made some dangerous runs but he should have done better with a first-time shot from the edge of the box. Brought a presence in the closing stages, scored a good goal with a downward header and made a big statement about deserving a place in the starting line-up for the next Premier League match against Fulham.